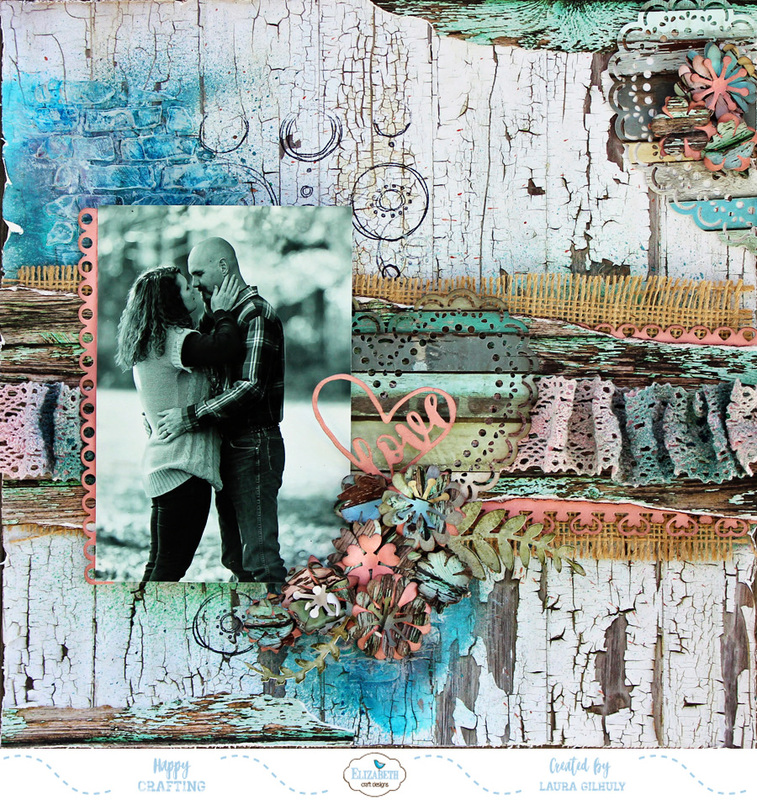 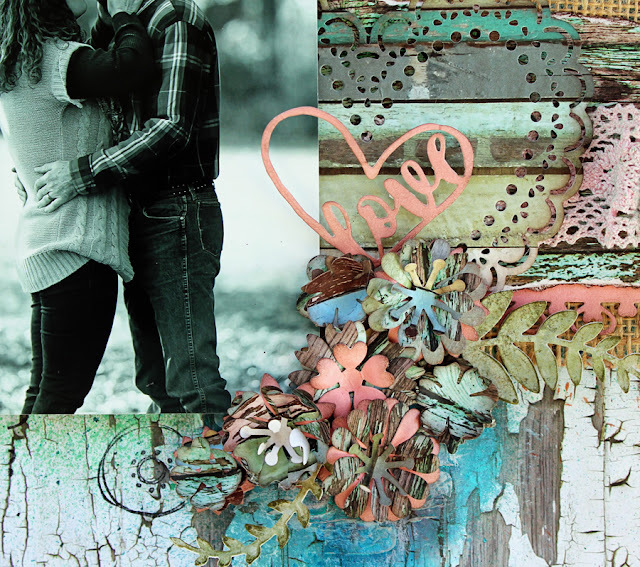 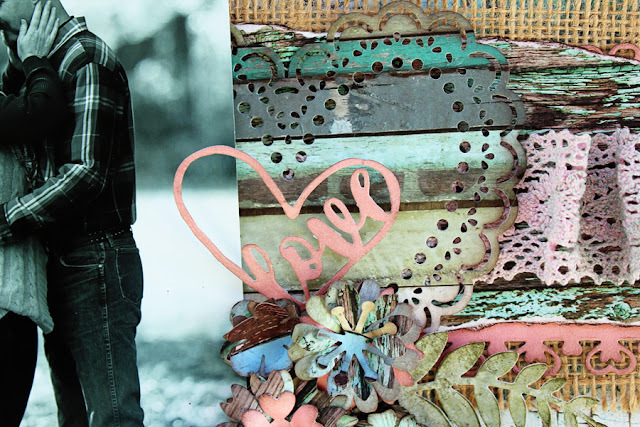 Angel Scraps: Love - Elizabeth Craft Designs monthly challenge! 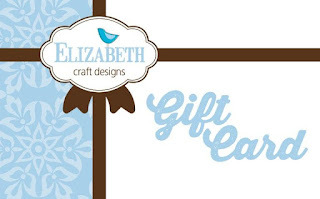 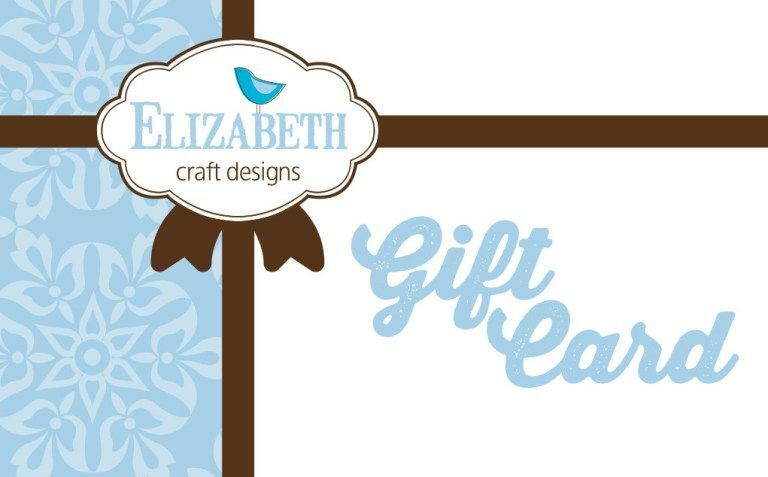 Elizabeth Craft Designs is having their monthly challenge! 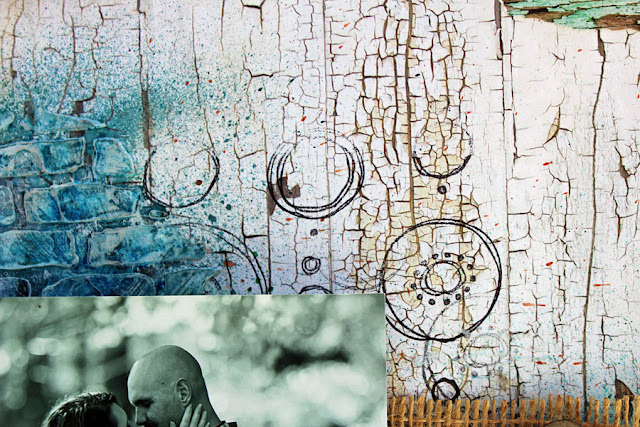 Now for this challenge I made a layout that celebrated the love between my husband and I.
to start with I used the Wood Effect paper from ModaScrap from ECD. I then stamped this really cool Circles Background stamp also from ECD I added some texture paste through a brick stencil, then started misting. 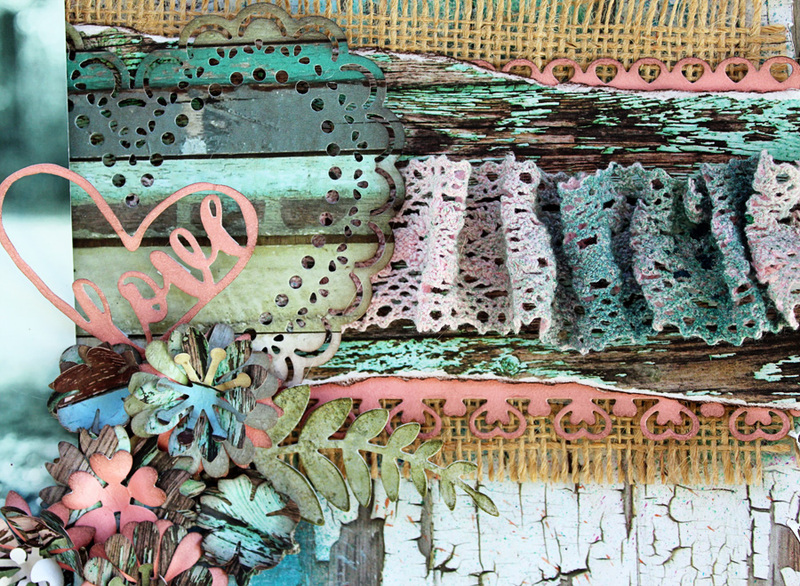 I love to mix colors, I used blues, and teals, and greens and pink to get the effect I wanted!